MP3 files availabile for instant download. Paper will be shipped. Description: Have you ever wondered why you hit it off with some people immediately, while with others it's like oil and water? Have you ever wondered why you hit it off with some people immediately, while with others it's like oil and water? That's because there are four primary behavioral styles, each with a very distinct and predictable pattern of observable behavior. Once you understand these patterns, you have the key to unlock your ability to get along with nearly anyone. What are your behavioral strengths and weaknesses? The Self-Assessment instrument is your starting point for making relationships more successful by learning your own behavioral style. Completing the 18-question assessment will only take 3-5 minutes to learn what makes you tick and start you on your journey toward improving all your interpersonal relationships. It’s so easy, you can’t pass it up because the results are very easy to understand and powerful to use at work, in your social relationships, and with your family. The Self-Assessment instrument is your starting point for making your relationships more successful by learning your own behavioral style and how to adapt it for certain people and situations. You’ll find that you get the most out this assessment if you’ll couple it with our Observer-Assessments and then plot your results on your own Scoring Matrix which includes comprehensive descriptions of styles and substyles, plus advice for achieving balance. Description: The Platinum Rule Behavioral Profiles Scoring Booklet is a NEW version. It now includes a whole new 13-page section on Applying Behavioral Styles with Others. The Platinum Rule Behavioral Profiles Scoring Booklet is a NEW version. It now includes a whole new 13-page section on Applying Behavioral Styles with Others. The Platinum Rule Scoring Booklet visually lets you see (on the Platinum Rule Grid) how you see yourself and how others see you (when you use The Platinum Rule Observer Assessments) - your parents, your children, your friends, your co-workers, and your clients. The Self-Assessment and Observer Assessment instruments are your starting point for making relationships more successful by learning your own behavioral style. Completing the 18-question assessment only takes 3-5 minutes to learn what makes you tick and start you on your journey toward improving all your interpersonal relationships. It's so easy, you can't pass it up because the results are very easy to understand and powerful to use at work, in your social relationships, and with your family. Description: The Platinum Rule Reminder Card is a laminated pocket-sized summary card and an instant reference to the four Platinum Rule behavioral styles with guidelines to recognizing and dealing with each style. 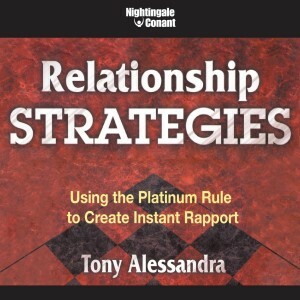 "Whether you're selling, negotiating, or dealing with problem customers, knowing and applying The Platinum Rule will increase your success." The Platinum Rule Reminder Card is a laminated pocket-sized summary card and an instant reference to the four Platinum Rule behavioral styles with guidelines to recognizing and dealing with each style. Description: The Platinum Rule workbook is what you need to communicate and win; understand what people REALLY want and what they fear most. With this discovery you understand how to spot each behavioral style. - And a whole lot more. Understanding of behavioral styles is critical to anyone in business today. Contrary to the popular golden rule, people do not necessarily want to be treated the way you want to be treated. Everybody has a preferred way they like to be treated and understanding of behavioral styles will help you connect with others in a way that is natural and comfortable to them. Get ready for an entertaining and insightful seminar delivered by an award – winning business trainer and best-selling author, Dr. Tony Alessandra. In this powerful session, you'll learn useful techniques for understanding behavioral styles and dealing more effectively with anybody and everybody you meet. You will discover the best ways of building rapport, how to break the ice with strangers, how to quickly and accurately size people up, how to adapt your style to make the other person feel more comfortable, and a whole lot more. 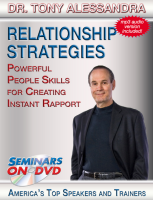 Once you understand and master these powerful people skills, you will be better equipped to build and maintain stronger relationships than ever before – personally and professionally. Description: The DISC Laminated Summary Card is a laminated pocket-sized summary card and an instant reference to the four DISC behavioral styles with guidelines to recognizing and dealing with each style. "Whether you're selling, negotiating, or dealing with problem customers, knowing and applying DISC Styles will increase your success." The DISC Laminated Summary Cardf is a laminated pocket-sized summary card and an instant reference to the four DISC behavioral styles with guidelines to recognizing and dealing with each style. Description: The DISC Platinum Rule workbook is what you need to communicate and win; understand what people REALLY want and what they fear most. With this discovery you understand how to spot each behavioral style. You start seeing your family and friends in a whole new - more understanding - way. The response you get from them will astonish you. The DISC Platinum Rule workbook is what you need to communicate and win; understand what people REALLY want and what they fear most. With this discovery you understand how to spot each behavioral style. You start seeing your family and friends in a whole new—more understanding—way. The response you get from them will astonish you. Discover which style seeks power and which one wants results. Who loves consistency and who fears change. This knowledge shows you how to sell your ideas and win people over. Use The DISC Platinum Rule workbook to put yourself and your projects in the best position to win. - Understand your own style so you leverage your strengths and avoid your weaknesses. Identify other people's styles so you can treat them the way THEY want to be treated. - Know when and how to make tiny shifts to your own behavior so people feel warm and relaxed around you. They rapidly develop a sense of openness and trust with you. Now you can easily understand in no time what it took me nearly thirty years to research, refine, and now reveal to you. You can learn the four basic personality styles. (Don't underestimate the power of this! Know precisely what others want; how they like to be treated; what they fear most; and their strengths and weaknesses. I teach you some quick and easy ways to spot the dominant styles of the people you encounter day to day. Once armed with this information, you'll be amazed at how easily you can get along with complete strangers. But it goes way beyond that. Avoid conflicts. Win people over to your way of thinking. Soon, you won't even have to try. It will become as automatic as breathing. You won't even think you are doing it, but you will be. If you are a manager or salesperson this book is a must. If you are a parent or a schoolteacher -- don't wait another second for these powerful cutting-edge communication skills to be yours. Many schools and colleges teach my concepts all around the world. The DISC Platinum Rule eWorkbook can help you make more money. Be a better parent. A better manager. A better friend. You will effortlessly get along with anyone you choose to...ANYONE. When your friends see the difference, please tell them about The DISC Platinum Rule eWorkbook. Description: Discover who seeks recognition and who wants results. Who loves consistency and who fears change. This knowledge shows you how to sell your ideas and win people over. You'll be able to reach the unreachable. When a job needs to be done—use your People Smarts to pick the perfect person for the job. And put yourself and your projects in the best position to win. People Smart in Business is a unique blend of scientific research on human behavior and my 34+ years of teaching people smarts - through The Platinum Rule®. Part One "Understanding People Smarts" contains four powerful chapters that help you to identify and better deal with virtually everyone. Part Two’s three chapters focus on getting along with everyone on the job, leadership styles, and how to sell and deliver quality service with style. Description: The HRD Press DISCStyles 24-item assessment has been crafted specifically to assist organizations in understanding how behaviors impact the success of their employees—and how it all links to the bottom line. The HRD Press DISCStyles assessment has been crafted specifically to assist organizations in understanding how behaviors impact the success of their employees—and how it all links to the bottom line. Based on theories originally developed by Dr. William Marston in the late 1920’s, and adapted for effortless facilitation and corporate buy-in, our DISCStyles assessments is a highly validated tool trusted by several Fortune 500 companies, the United States Military, and professional consultants worldwide. This easily administered 24-item assessment includes use of three interpersonal settings to maximize contextual authenticity (work, home, social). Each of the three standard interpretive graphs are plotted enabling a complete view of your preferred style, and since the DISCStyles assessment can be completed in only 10­–15 minutes you gain valuable time for individual coaching sessions or group discussions. Description: Finally, a book dedicated to the hotel sales professional! While there are many generic sales books on the market, this book takes the hotel sales person through a five-step selling process that will increase the probability of getting business and hitting those sales goals. Most people know the Golden Rule, “Do unto others as you would have them do unto you.” We believe in it 110%, especially when it comes to honesty, values, ethics and consideration for the needs of others. However, with interpersonal communication, it can backfire because others may not wish to be treated the same way you like to be treated. Not every person buys the way you sell! The Golden Rule is salesperson-centric and may be the reason sales people have good days and bad days. When people are treated the way they want to be treated, you are paying attention to their needs, wants and expectations. You are trying to “walk a mile in their shoes” and understand their feelings, see their point of view, and identify their purchasing requirements. That builds trust, friendship and respect ... three requirements for any strong relationship. This book teaches you how to understand your own style and how it differs from the styles of others. You will learn that your ideas do not have to change, you simply learn to change the way you present them to the customer. This is called adaptability, which requires a simple change in your behavior to adapt the way you sell to the way the four different styles buy. Getting along with others is the universal key to success. Experience has taught us that the ability to build rapport with others is one characteristic highly successful people have in common. The $uccessful Hotel $ales in 5 Easy $teps book provides the added bonus of cultivating successful relationships in all areas of your life…beyond a successful career in sales. Section I describes the four general behavioral styles of your customers - the Director, Relater, Socializer and Thinker. The best part is that the name given to each style is indicative of the natural behaviors associated with each style. In Section II, hotel sales people learn a simple process of elimination that can be used to help identify their style and the styles of customers. It will also give you some scenarios on how to identify the four styles during a sales transaction. In Section III, hotel sales people learn how to adapt their selling style to match the customer’s buying style, which requires behavioral adaptability. We do not teach you how to manipulate others. Our goal is to provide sales people with the skills necessary to identify and satisfy the needs of those shopping for hotel services. In Section IV, we build on what was learned in the first three sections of the book and teach you to apply those skills to our five steps sales success, which are: Connecting, Exploring, Collaborating, Confirming, and Assuring. Contact us now to quickly and easily setup your assessment account today! Interested in learning more about our assessment platform? Get in touch below to get a free quote! Tony offers audiences the opportunity to enjoy themselves while learning practical, immediately applicable skills that positively impact their relationships with prospects, customers and co-workers. He focuses on how to create instant rapport with anyone; how to convert prospects and customers into business apostles who will “preach the gospel” about your company and products; how to outmarket, out-sell and out-service the competition. Join our industry insiders mailing list for early announcements of new product launches, invitations to attend free webinars and to receive our monthly e-newsletter. © Copyright 2018 Alessandra.com. All Rights Reserved.